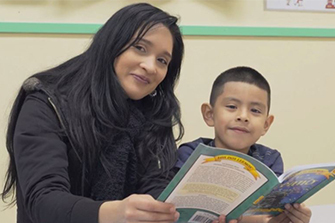 SMART needs to recruit 90 Site Coordinators by August 27 in order to read with 11,300 Oregon students this year. Can you help us meet our goal? Volunteer! Consider joining SMART as a Site Coordinator. Sign up online here, or call 877-598-4633 to learn more. Tell your friends, families, and colleagues. Personalize the email message below and send it to folks in your networks. Get social! Post about our need for Site Coordinators on social media. You can find sample posts below, or, click here to post a Tweet. Thank you for helping us bring the gift of shared reading and access to books to 11,300 Oregon children. An organization I care about, SMART (Start Making A Reader Today), is launching a statewide campaign to recruit 90 new Site Coordinators by Aug. 27 in order to meet their goal of providing over 11,300 children this year with one-on-one reading support and books to keep and add to their personal libraries. Site Coordinators, SMART’s leadership volunteers, are vital to the success of SMART’s reading programs. From October through May, Site Coordinators provide program oversight during reading sessions, act as a key point of contact at SMART schools, and create a welcoming, organized environment for volunteer Readers and students. SMART simply cannot do their work without them. If you have 2-8 hours per week to volunteer, the Site Coordinator role is an incredible opportunity to make a difference in the lives of both students and adult volunteers. You can even pair up with a friend and do it as a team! Read more about this special role here. Get social! Post about SMART’s need for Site Coordinators on social media. You can find sample Facebook posts here on our website. Or, click here to post a Tweet. Join us in doing what SMART does best: help foster a love of reading in kids through shared reading time and access to books! SMART is looking for Site Coordinators to lead our SMART program(s). It’s a fun, meaningful way to volunteer in your community and make a difference for kids! To learn more, go to http://bit.ly/28PwtBL.